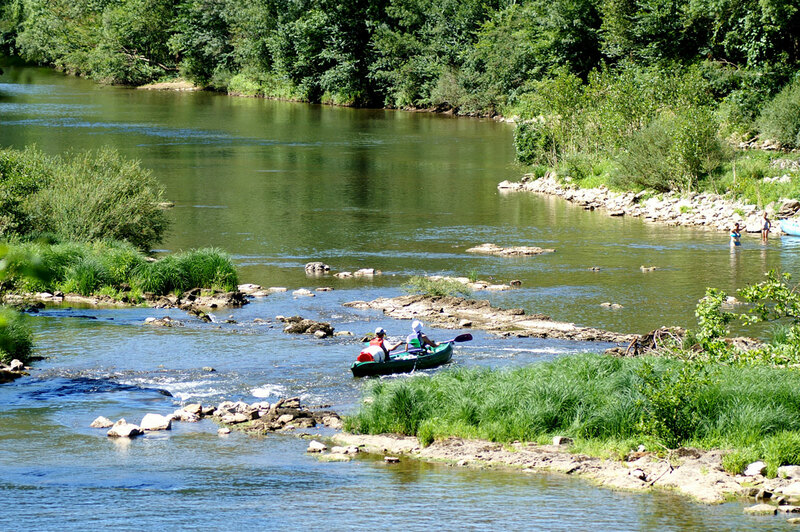 The river Aveyron rises near Sévérac-le-Château and flows down to close to Montauban. The river gorges bordered by the medieval fortified towns of Najac, Saint Antonin Noble Val and Bruniquel are a beautiful jewel case with a unique geography. You will love the spellbinding calm of this meandering river as it reveals the wealth of its ancient heritage and sunlit landscapes. Canoeing in the “warm” water is a ‘must”, with time-out on the beaches, fun through the rapids, natural diving boards and limestone cliffs to admire on your way down. We have the right equipment for whatever you want to do and however long you want to do it for – an hour or several days. 1 to 3 seat “sit on top” canoes, 1 seater kayaks and Stand Up Paddles. Our team provides you with recent professional gear complying with EC standards. Our life jackets and containers are washed after every use with biodegradable nature-friendly detergents. 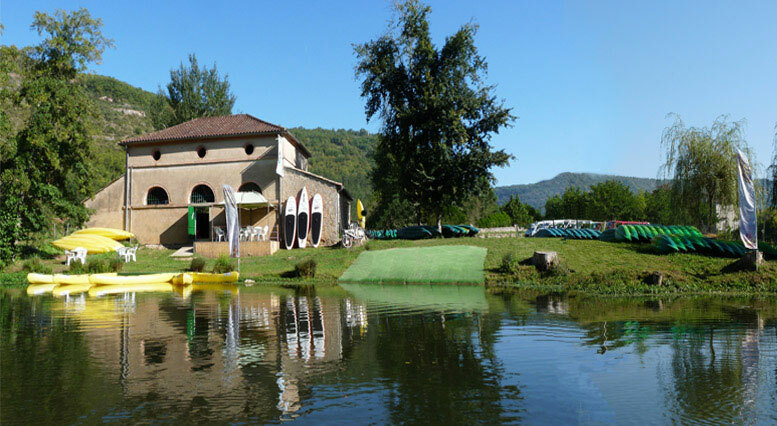 At our Home Base, below the village since 1988, you will find our full-service team and very comfortable amenities including sanitary facilities, hot showers, changing rooms, a riverside terrace, cold drinks and the Mountain Bike and Stand Up Paddle rental desk. Big shaded picnic area with coach and car park. Free car park for RV campers with water and drains. All shops less than 500 metre away. Restaurants, camp-sites, B&Bs. On our Arrival base there is a team organized to free you from the landing chores and our shuttle bus park. Swimming beach, changing rooms, bar with concerts and theatre, toilets. 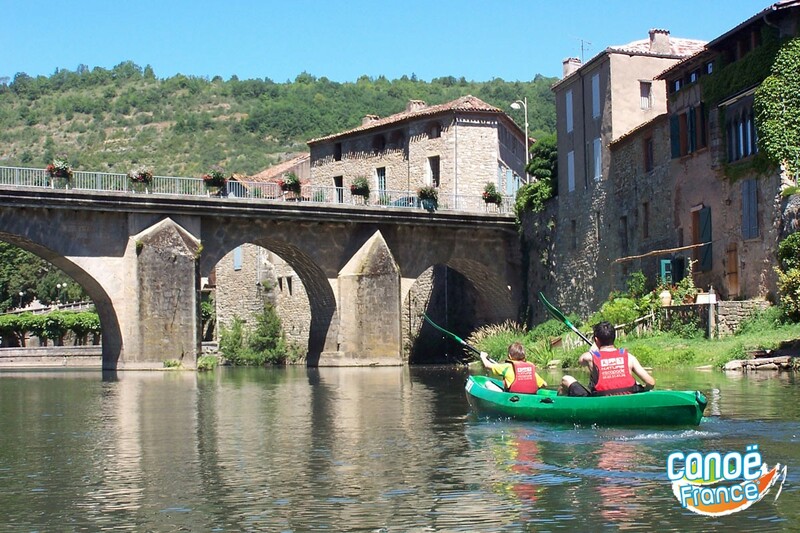 We propose a great choice of activities harnessing all the marvelous potential of the Aveyron River Gorges. Canoeing and kayaking, of course, but also trail and mountain biking, caving, rock climbing and, for the bravest, a via ferrata. These activities are organized under the watchful eyes of Nationally-qualified instructors. You must book in advance to participate.